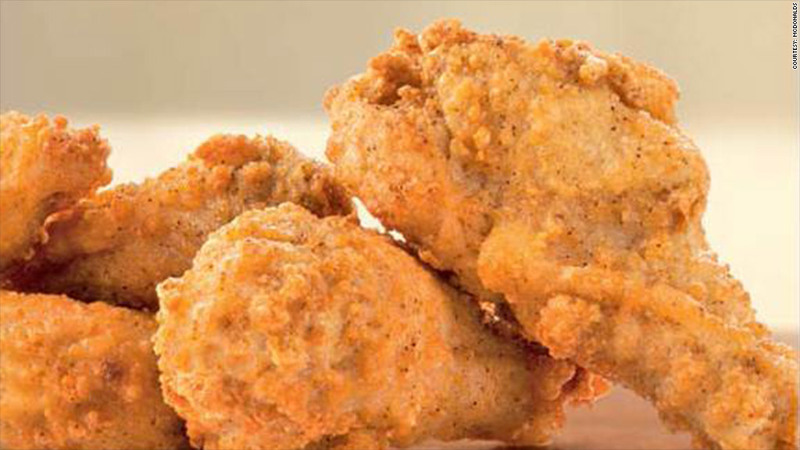 McDonald's is testing out Mighty Wings in select locations, a move that some experts say is helping to drive up chicken wing prices. When it comes to the Super Bowl, there's lots of chatter about the millions of dollars spent on ads and the sky-high price of tickets. But what will really hurt your wallet come game day? Chicken wings. Every year, the cost of the beloved game-time grub shoots up at the end of January as restaurants gear up to feed the masses for the NFL's big showdown. Prices usually go down soon after. But that drop never happened last year, because sweeping droughts in the Midwest drove up feed prices, agricultural experts say. As a result, the price of chicken farming, and therefore wings, has been gradually increasing. The wholesale price of wings was up 26%, to $1.90 a pound in December from a year earlier, according to David Harvey, an agricultural economist specializing in poultry and eggs at the U.S. Department of Agriculture. While rising feed costs certainly play a large role, Harvey said there's another reason why you'll have to pony up even more for chicken wings this year: McDonald's (MCD). Over the last year, the hamburger joint has been testing out the Mighty Wing, its own version of the popular appetizer. McDonald's first rolled out the new product in Atlanta last fall before moving to Chicago earlier this month. The fast food chain will test Mighty Wings at 500 of its Windy City locations until March, according to Tyler Litchenberger, a McDonald's spokeswoman. There are no other plans to expand to additional cities at this time. If McDonalds rolls out Mighty Wings in other cities, analysts say demand from the Golden Arches could put even more pressure on prices. "McDonald's, just given its size and the fact that it has 14,000 stores across the country, could affect the supply," said Mitchell Speiser, an analyst who follows the fast food chain for Buckingham Research. By testing Mighty Wings in a few select cities, Speiser said McDonald's is likely figuring out whether or not it will be able to source enough wings for locations nationwide. 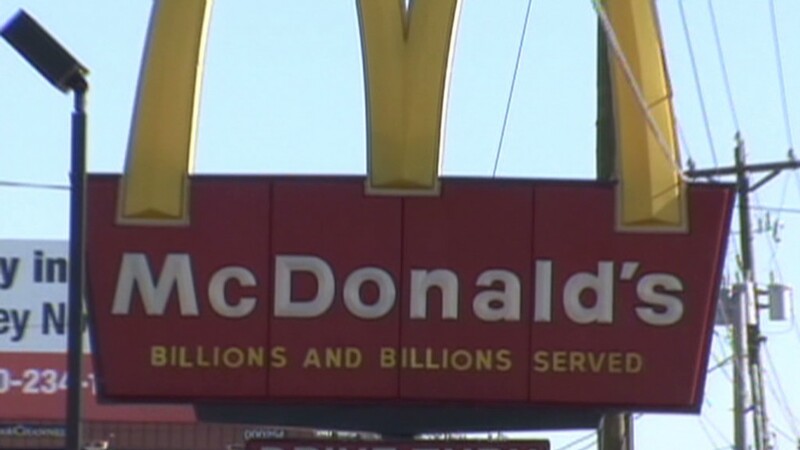 Litchenberger said that McDonald's has been beefing up its supply as it expands into Chicago. But she said the chain is going to build it up over time so as not to take over the market. "When we were looking to launch wild berry smoothies, we found out that we would have taken up 30% of all blackberries available, so we took a two-year approach to make sure we weren't taking a huge amount from everyone else," she said. By doing so, there was more time for farmers to plant more crops and for the market to adjust. "That's what we're doing as we go into chicken wings," she said. The USDA's Harvey said he has already seen a larger stockpile of wings since McDonald's unveiled its new product. There were 75 million pounds of chicken wings in frozen storage at the end of December -- a 68% increase from a year earlier. While Harvey couldn't say who owns what share of wings in storage, he said the fast food change likely plays a role in the increase. "When companies like McDonald's go into an advertising campaign for wings, they start stockpiling the product so they have it waiting for them," he said. Those looking to score a Super Bowl McDeal on wings should look elsewhere, however. Litchenberger said the chain won't offer any Mighty Wings promotions for the game.